Signs are important for 2 reasons. Neighborhood work party comes out to install the signs. Placing the signs at the entrances of your neighborhood is a good start, if your neighborhood cover a large area you should consider placing signs on the internal streets of your neighborhood. 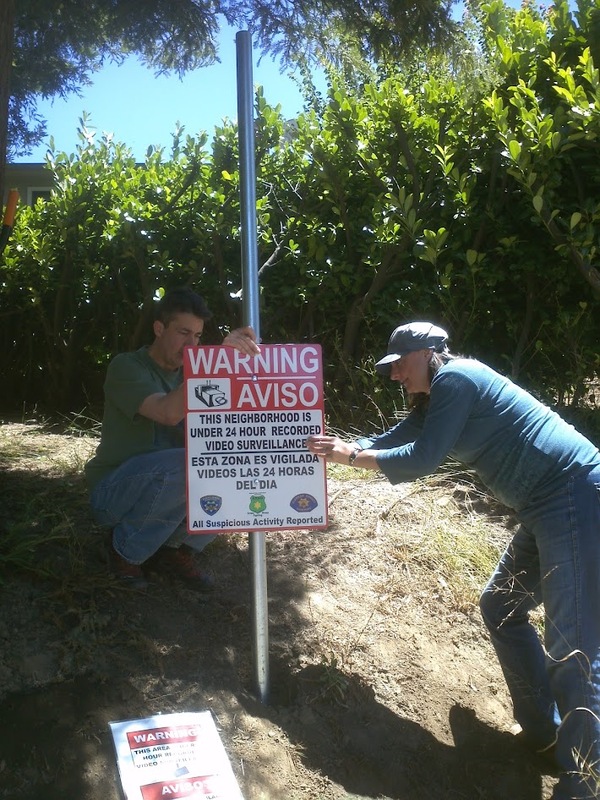 You cannot place your sign on a street sign without a permit from the City, country or state (depending on the type of road), assume that you will NOT get a permit. Check the local sign ordinance for permission to place a “civic” sign on private property this is a solution that would generally be easiest to implement. The package we got from Worldwide Signs included (design and layout, metal sign with reflective paint, 10 foot galvanized pole and mounts to mount the sign on the pole. NOTE: Make sure you get Bob to update the logos on the Sign to reflect your particular neighborhood. You don’t want to be displaying the wrong Logos. When installing the signs you will need a hole digger, a bucket, a shovel, and a bag of cement. There are 2 philosophies to hole depth when installing signs. Pick the philosophy that suits your temperament. 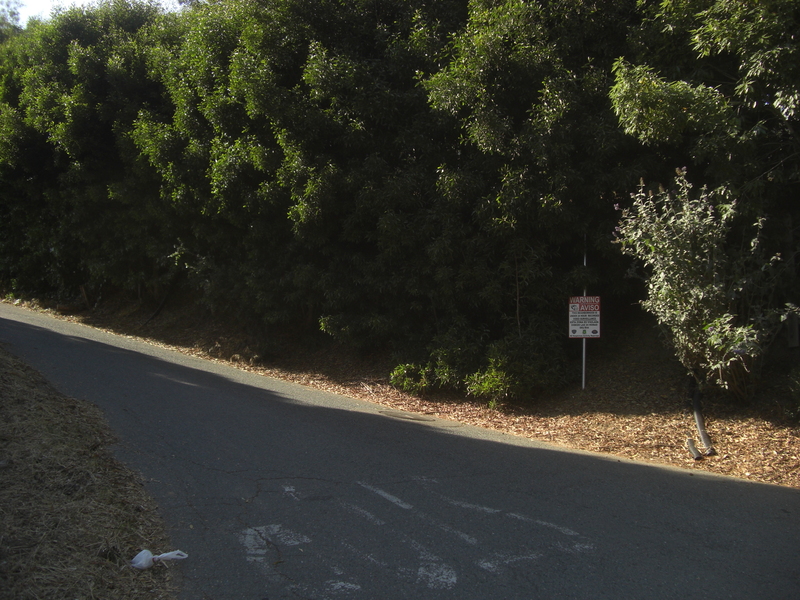 Place the sign on private property to avoid issues with the City. This entry was posted in Installation by neighborhoodguardadmin. Bookmark the permalink. About how much are those sign and pole kits, and how many are typically needed in a neighborhood of about 100 houses? Carlo, please call Worldwide signs for current pricing (925) 447-7446, I would get 1 sign for each entrance to your neighborhood.